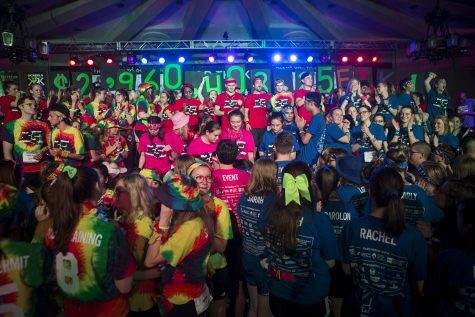 After 25 years of the UI holding Dance Marathon, the organization has raised over $27 million. 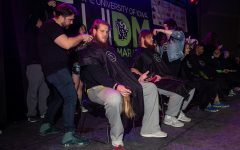 The total falls a bit short of last year’s record-breaking total for the student organization; it raised slightly more than $3 million. 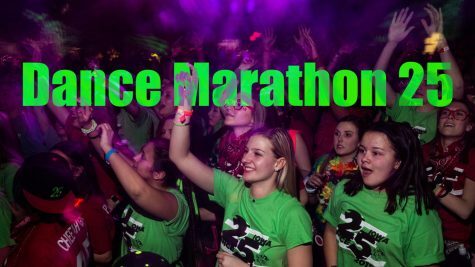 “Every number large or small is simply just a number,” Dance Marathon Executive Director Charlie Ellis said. In the 25 years of Dance Marathon, the largest student organization at the UI has raised more than $27.5 million. 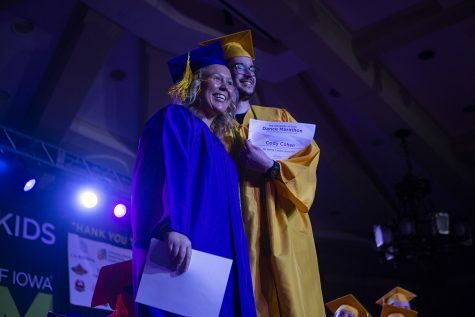 Ellis said the total at the end of the night stood for so much more rather than merely money for him and all of the executive team. 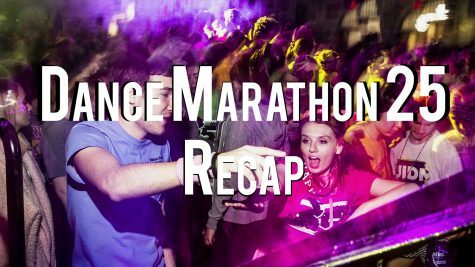 This year, Dance Marathon developed its first campaign, Shape Your Impact, to encourage all of leadership, dancers, and community members to define their effect on the organization and make the most out of their time in the organization. 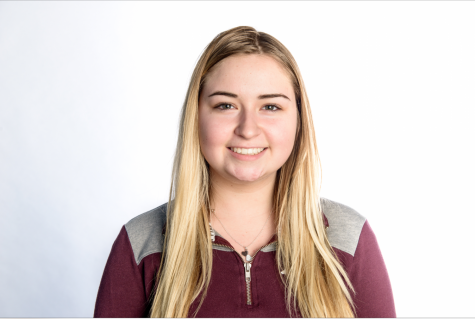 Marissa Kronfeld, a fourth-year dancer on Dance Marathon leadership with the business committee, said she owes a lot of her dedication to fundraising to the families the organization affects. 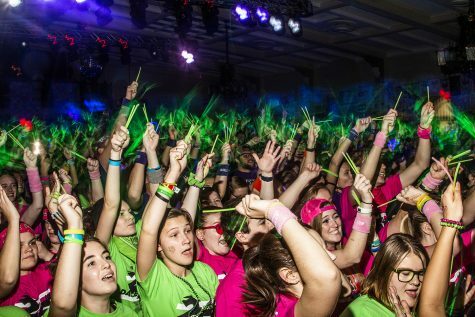 Twenty-five years ago, the first UI Dance Marathon raised $31,000 to support 26 families. 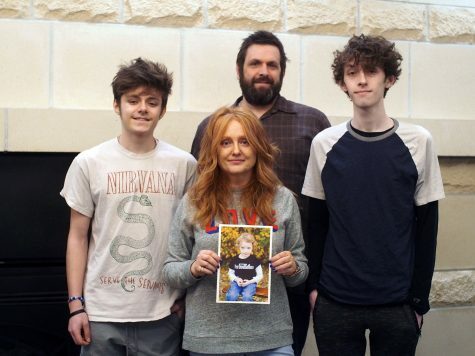 Since then, the group has supported hundreds of families and donated millions of dollars for research and improvements at the Stead Family Children’s Hospital. 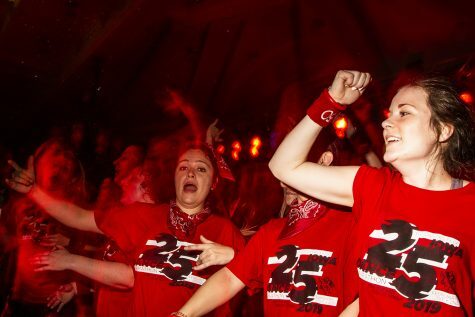 Reilly Flair, the Group 26 morale captain, said becoming a morale captain was important to her to show her dancer group why fundraising is a large part of the Big Event. 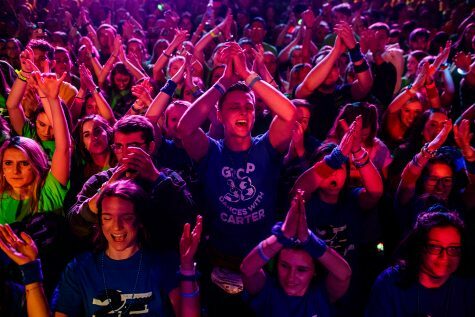 Morale captains pump up the crowd during Power Hour at Dance Marathon 25 at the IMU on Feb. 2. 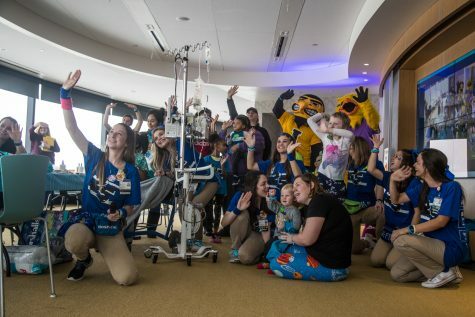 “Fundraising is a large part of Dance Marathon, because without the money that we raise, we would not be able to provide the emotional support and many of the resources families need to get through these difficult times,” Flair said. 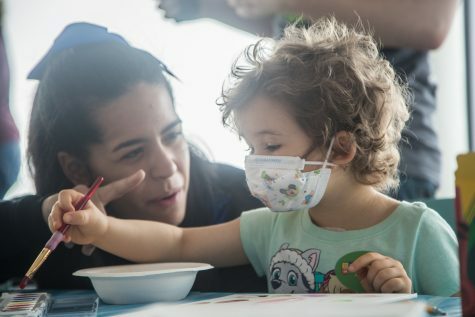 Dance Marathon continues to support families who continue their journey through a smaller version of the Big Event at the Stead Hospital. 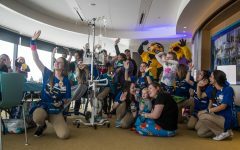 The organization also continues to remember those who have lost their battle through Dancing in Our Hearts, a portion of the Big Event that commemorates the 235 children involved with Dance Marathon who have passed away from cancer. 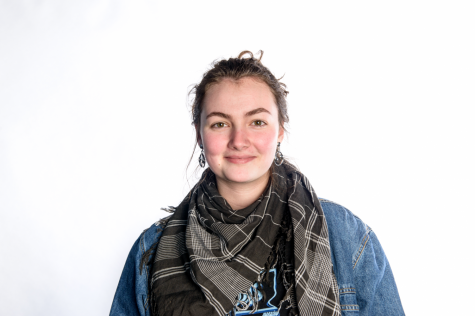 First-year dancer Rachel Tandy said fundraising to get to the Big Event for her first time was one of the coolest things she has done.